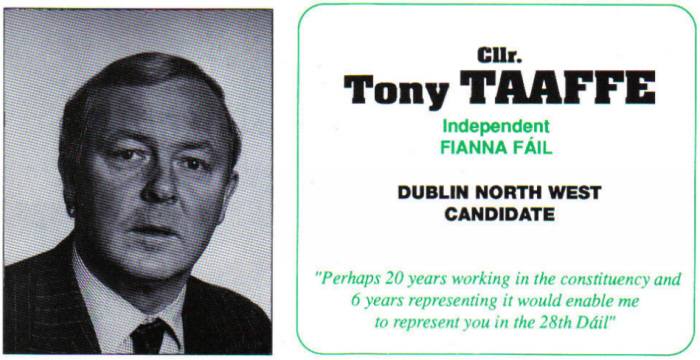 Tony Taaffe, formerly a Fianna Fail Councillor who left and ran as Independent Fianna Fail in the 1997 General Election. I’m not sure but I suspect he may have failed to get on the party ticket. 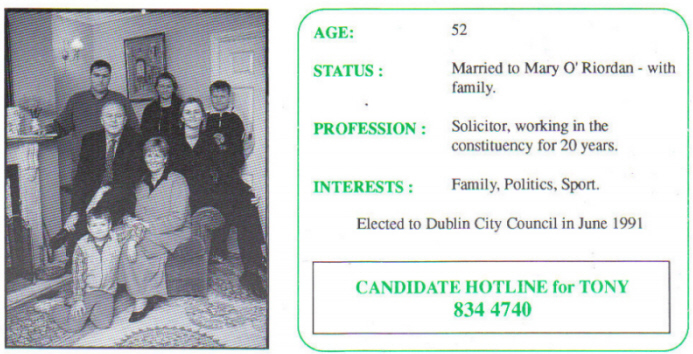 He ran again for Fianna Fail in the 1999 local elections and was elected.